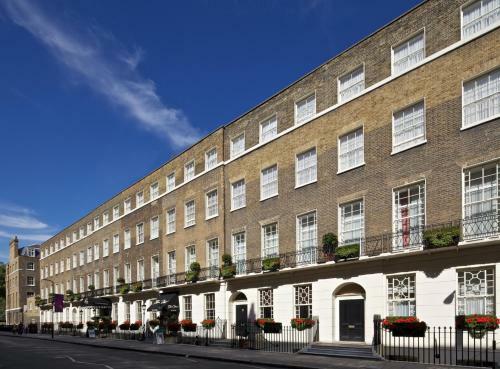 The Montague on The Gardens, a beautiful luxury London townhouse hotel overlooking a private garden in a secluded spot. You will find the hotel close to the British Museum and Covent Garden, London. This is an intimate boutique hotel that does a great job of providing business and leisure guests with first class personal service, exceptional comfort and every modern convenience. Fully air-conditioned guest rooms and luxury suites lend an atmosphere a fine country hotel. Restaurants, conservatories and the terrace cater for a wide range of dining experiences. From Russell Square underground. Coming out of the station turn left and walk towards the end of the Street with the HSBC bank on the right hand corner. With the Russell Hotel behind you cross over the zebra crossing towards the gardens. Go through the gardens towards the top left hand corner. Cross the zebra crossing and you will be at the end of Montague Street. The hotel is 50 yards up on the left hand side.